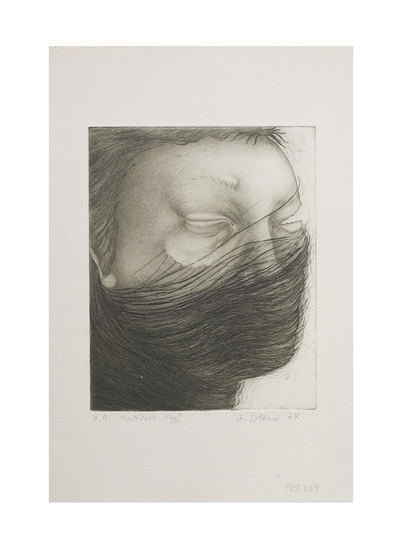 After I had finished university and was on a German Academic Exchange Service scholarship in Milan, I concentrated mostly on etchings and drawings. I started off with portraits which did not depict specific people. In any case, even this early my recurring fascination was with people wrapped in yarn or thread. What I liked about etchings was that I could actually touch the lines. I took my fingernail and ran it along the metal plate to make sure that the etched line was deep enough. In this way, the printing process became, to me, the record of a physical action.